This is the time of year, we always state our goals for the next 12 months. “I will be healthier, happier…” The list goes on and on. Yet, with each new set of New Year’s resolutions, more often than not by the beginning of February, these resolutions are already broken. This year, why not use the New Year to focus on business goals instead? It’s the ideal time to put a plan into place for the year ahead. From an affiliate marketing perspective, audiences are searching for products and services related to their own resolutions. Here are our recommendations for how to make the New Year work for your performance marketing strategy. The first step is to set goals for your business. The old saying still holds true; it’s difficult to reach the end if you don’t know where you’re going. The trick to reaching your goals is to not overstretch yourself. Everything you aim for should be achievable within a reasonable timescale. So, planning to triple your profit by the end of January is probably not going to happen. Set baby steps that lead you to your ultimate goal. Remember to include milestones, and build a review process to track how you are doing. You never stop learning, and this is particularly true in marketing. Even more so within the online space. Strategies are always changing; new trends hit the industry and different methods of achieving success constantly evolve. The New Year is an ideal time to upgrade your skills. Some of our favorite skills-building resources include Lynda.com, HubSpot Academy and Google Analytics Academy. Better suited for a face-to-face, hands-on approach? Learn how elevate your affiliate marketing strategy at the first ShareASale + Awin ThinkTank. 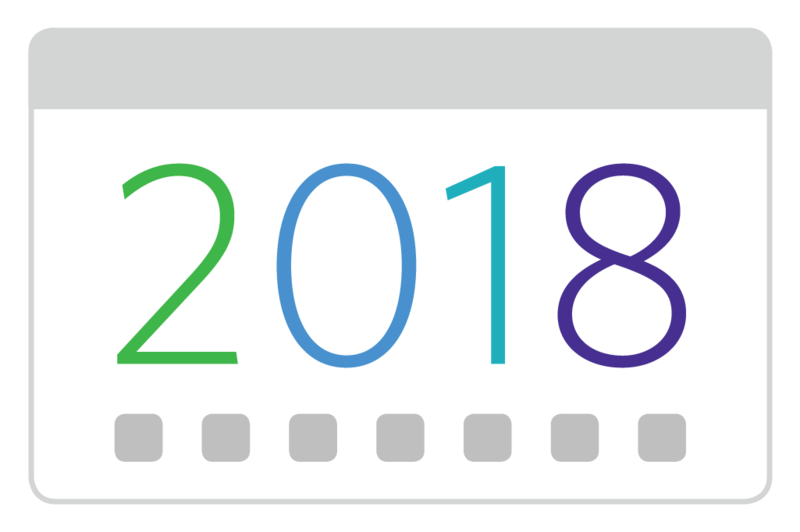 Make a New Year’s resolution to attend at least one conference and event in 2018. Not only will you be inspired and educated by leading industry innovators, but conferences are a great place to create new meaningful contacts and grow your network. As you can see from our 2018 calendar, there are plenty of events to choose from. A few conferences we recommend starting with are Affiliate Summit, IRCE and GLOSSY New Face of Beauty. In addition to covering topics directly relevant to your audience, consider stepping “out of the box” with content that may be within the scope of your brand but still a little outside of the norm. Search for affiliate programs in the Awin advertiser directory and see if anything fits your audience. 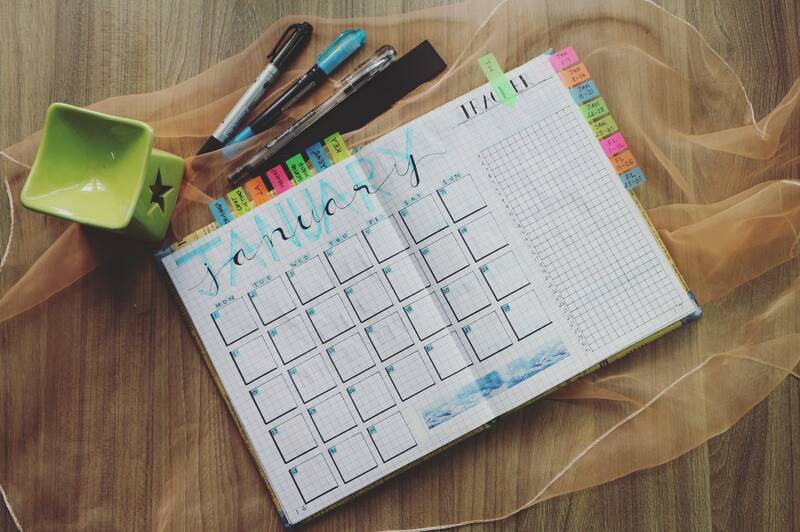 Plan for the entire year, not just January. For affiliate marketers, cultivating an email list is still the most important thing you can do. Encourage your audience to sign up to your blog. Incentivizing with a free webinar, report or ebook is always an effective way to email capture. Additionally, many Awin advertisers will provide you with some free program information to share with your audience, or provide further detail in to their business offerings to aid your promotions. Use this wisely to build your list. Following on from the last point, make sure your email list is as accurate and up-to-date as it can be. Take this time to remove dead emails and subscribers who have not opened one of your emails in years. There’s no point of having a carefully-built list if you don’t make the most of it. We recommend using an online email platform like MailChimp or Constant Contact to easily send content to your audience. Use these emails to develop a rapport. Ultimately, though, your goal should be to earn a commission for sales, so don’t forget to promote within these emails as well. Send out regular campaigns with offers, links to your blog, and interesting, relevant topics. Make sure these emails have a call-to-action, even as a ps. There is no need to oversell, but if your products, promotions and content are good, your customers want to hear about it. As part of your affiliate marketing strategy, make sure to plan your blog/social media content calendar at the beginning of the year. Think about what type of content works best for each month, and build it around your affiliate promotions. Being organized will make a huge difference to your overall success of your content, as explained by CoSchedule. In addition to planning the type of content, also think about how you get the best value out of it. Schedule your social media posts in advance using social media management software like Hootsuite or Buffer, and make sure it goes to social media sites relevant for your business and audience. Resolve to be smarter with your social media in 2018. Get active, and commit to promoting at certain times every day (even if it’s only once per day.) Comment on posts, both your own pages and from others. Answer questions. Get your name out there. It’s important to not be too sales oriented in your comments. Instead, offer good advice that your audience can benefit from. This will build trust between you and your customer, and allow them to see you as an authority figure. All good affiliate marketers are constantly looking for new products and services. Make it a resolution to test promotional methods early in the year, to either expand your reach if they are working, or quit plugging them if they are not. As part of this strategy, monitor and analyze all of your campaign performances. Set a calendar date each month to review in detail, checking campaign data against as many important parameters possible. It will help optimize your campaigns, as shown by Conversionxl. While you are at it, make sure all your campaigns are working. Test your website, check sign up forms, look for broken links… ensure your audience has a seamless experience. The affiliate marketing industry is constantly evolving, and its crucial to stay up-to-date. An easy way to stay on top of latest developments is by subscribing to industry newsletters. For the affiliate industry, we recommend reading the Performance Marketing Association’s blog, the Awin Report for affiliate marketing trends, and subscribing to Awin’s Market Insights newsletter for our latest articles, trend reports and whitepapers. As with New Year’s resolutions surrounding any aspect of life, not just affiliate marketing, making them is the easy part. Stick to them and you will see results.